Russian prosecutors on Monday announced a new criminal case against Kremlin critic Bill Browder, raising the pressure on him before European Union discussions about a set of sanctions he is advocating. Russian prosecutors announced a new criminal case against Kremlin critic Bill Browder on Monday, raising the pressure on him before European Union discussions about a set of sanctions he is advocating. They also revealed a "theory" that he could be behind the death of his employee, Sergei Magnitsky, in a Russian prison. Magnitsky, a lawyer who alleged he had uncovered $230 million US in tax fraud by Russian officials, died in 2009 following a year in pre-trial detention. A Russian presidential commission concluded that he had been beaten and denied medical care. Two prison doctors were charged with negligence leading to his death, but one was acquitted by a court in 2013 and the other didn't face justice because of a statute of limitations. U.S.-born Browder, who owned a major investment fund in Russia, has mounted a campaign to bring Magnitsky's killers to justice. He pushed through legislation, named after Magnitsky, in the United States imposing travel and financial sanctions on top Russian officials, including prosecutors. Several other countries have since adopted the Magnitsky Act, including Canada. Russian prosecutors on Monday announced new charges against Browder, accusing him of forming a criminal group to embezzle funds in Russia. They also said they suspect Magnitsky's death in prison was a poisoning and said they have a "theory" that Browder was behind it. Mikhail Alexandrov of the prosecutor general's office told reporters that they opened a criminal case into the poisoning with a military-grade substance of three people they called Browder's associates and said that it is "highly likely" that Magnitsky, who they said displayed similar symptoms, was poisoned as well. 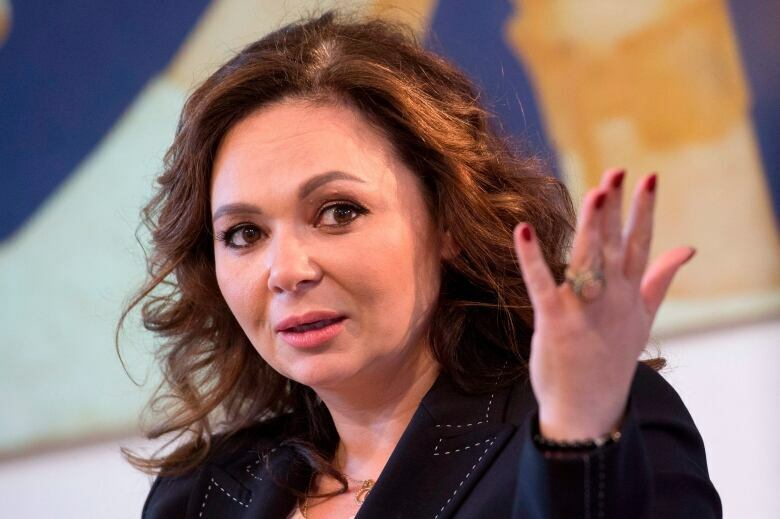 The prosecutors said that they decided to pursue the new charges against Browder after reviewing evidence submitted by Natalia Veselnitskaya, a Russian lawyer who met Donald Trump Jr. during the 2016 presidential campaign and who lobbied for the repeal of the Magnitsky Act. Emails later released by Trump Jr. show that she had been described as a "Russian government attorney." President Donald Trump acknowledged in August that the meeting at the Trump Tower was supposed to "get information" on Hillary Clinton. The new charges against Browder follow his 2013 conviction in absentia by a Moscow court on tax evasion charges that he dismissed as a sham. The announcement comes as the Netherlands is preparing to host diplomats from all EU member states to discuss a pan-EU Magnitsky Act. Browder told The Associated Press on Monday that he has no relation to the three men named by the prosecutors and described the accusations of poisoning as an attempt to discredit his campaign for justice for Magnitsky. President Vladimir Putin's "reaction is so absurd that it only helps our campaign and our cause," he said. Browder compared the new theory about Magnitsky's death to the Russian denials of its role in the 2014 downing of Malaysia Air flight MH17 over Ukraine that killed all on board. 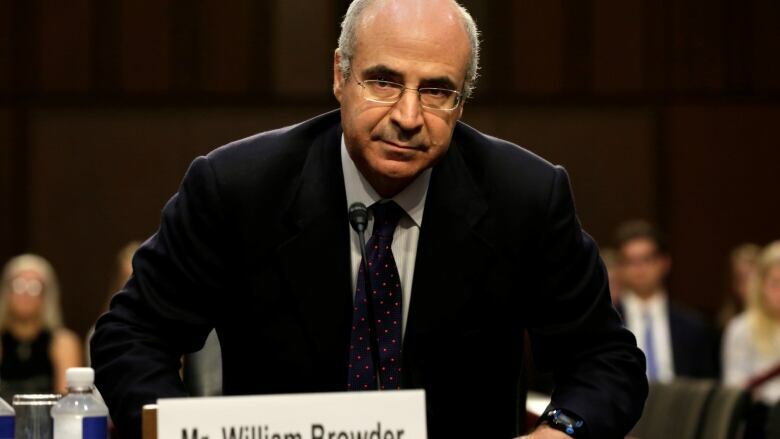 Prosecutors said Monday that they will now be placing Browder on a wanted list and they expect Interpol's co-operation. Russia has previously tried to get Browder placed on Interpol's wanted list, but the organization has repelled the efforts, viewing his prosecution as politically motivated. Browder was briefly detained in Spain in May but released after police found that the arrest warrant for him was no longer valid. Monday's announcement comes two days before Interpol is expected to elect its new chief, and a former Russian police official is a front-runner. Browder said that possible appointment "puts the organization in a grave danger of being fully discredited." Other Kremlin critics have been vocal about the upcoming Interpol election. Opposition leader Alexei Navalny, who has faced a flurry of detentions and criminal charges, tweeted Monday that his associates "have suffered abuse" from Interpol officials who were complying with Russian warrants to persecute Kremlin opponents, and warned that the candidate from Russia would only make things worse. Putin's spokesman, Dmitry Peskov, told reporters on Monday that the Kremlin is "rooting for the Russian candidate and we would like the Russian candidate to win this election." Asked about the upcoming vote at Interpol in connection with the Browder case, prosecutor general's office spokesman Alexander Kurennoy told reporters that Moscow views the organization as "trusted partners" and expressed hope that "the procedures will be followed in a regular manner" when it submits an arrest warrant for Browder.